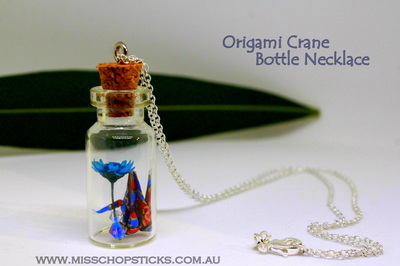 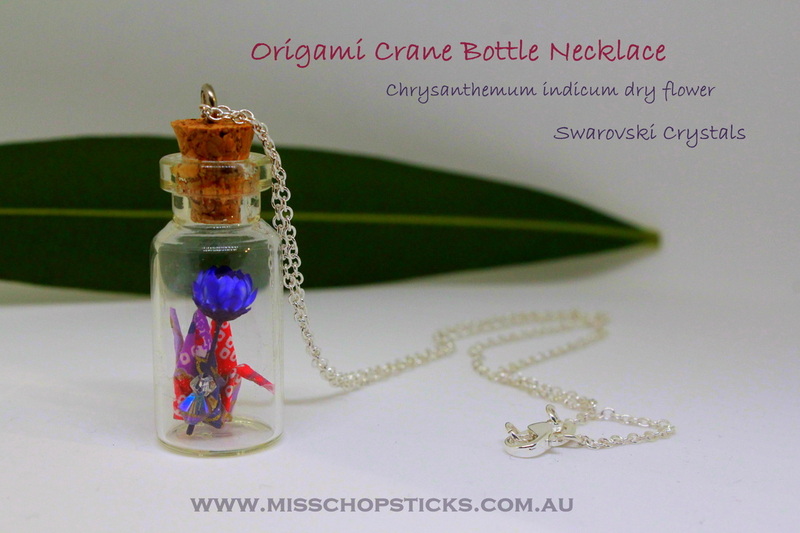 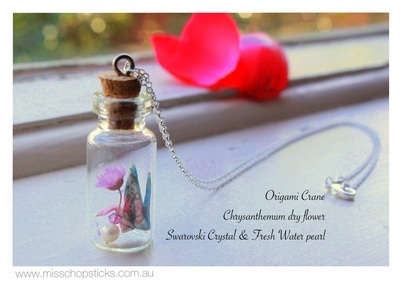 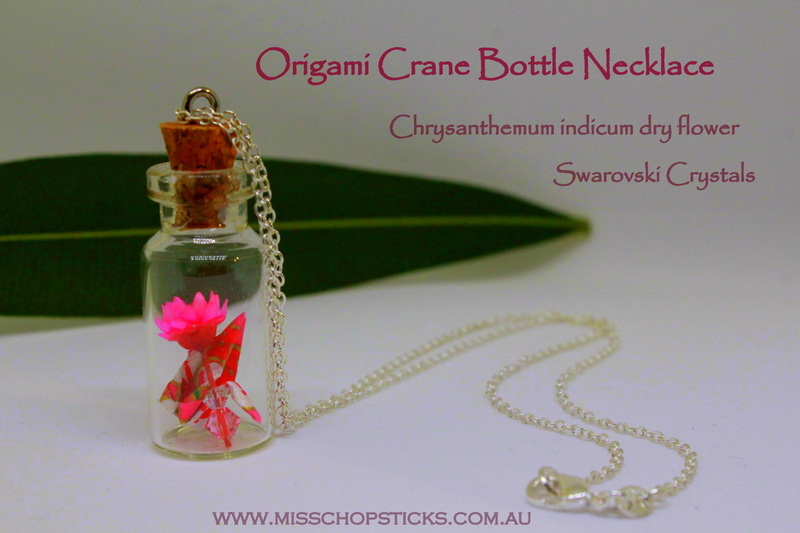 Little crane housed with mini chrysanthemum dry flower and Swarovski Crystals in delicate glass bottle. 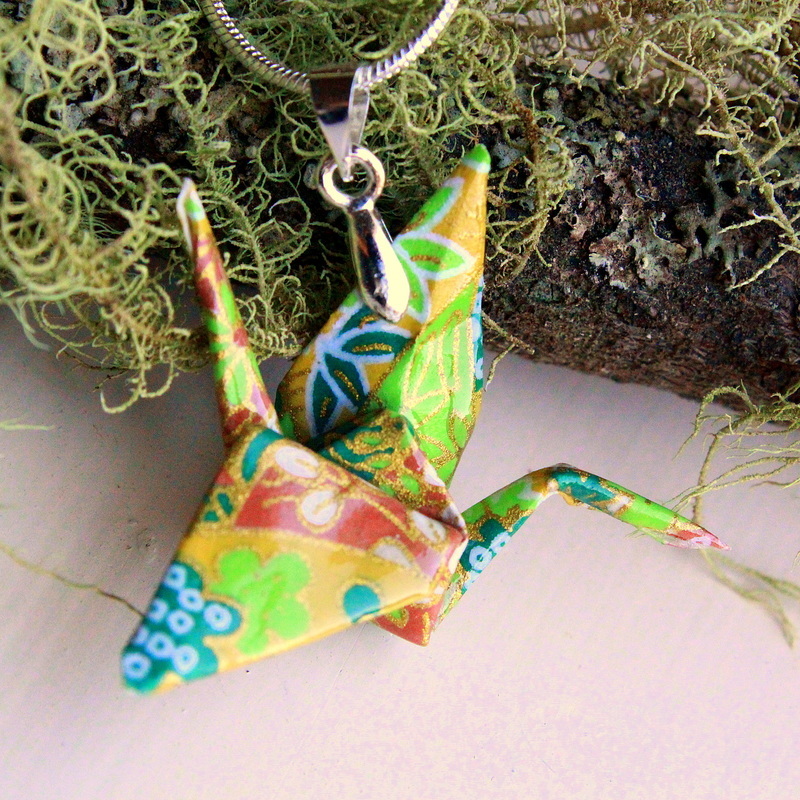 This unique design brings a sense of happiness in this Spring. Patterns on crane and dry flower maybe slightly differ from photo as each piece is unique. 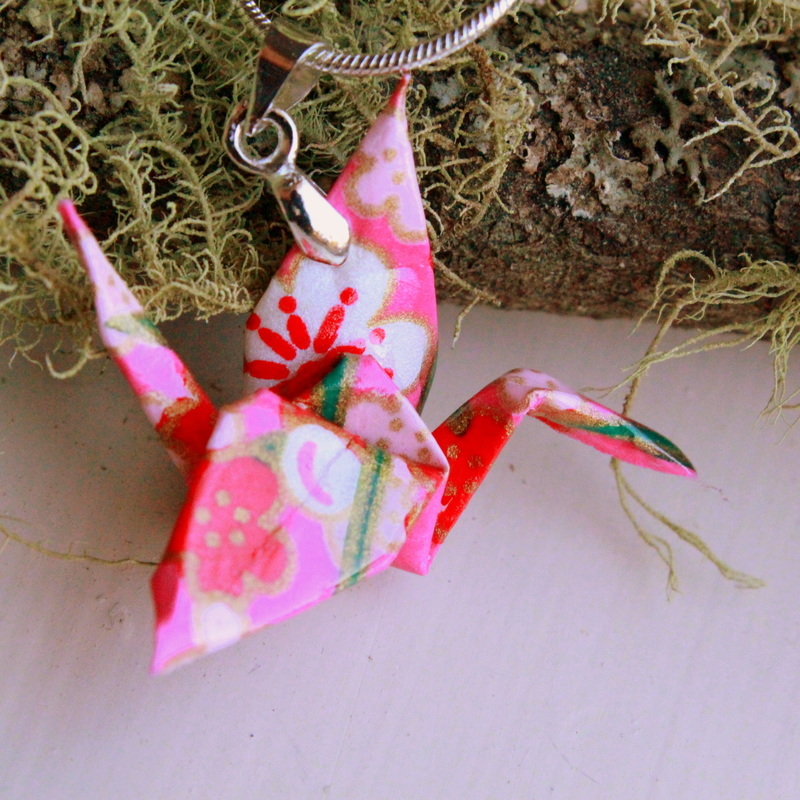 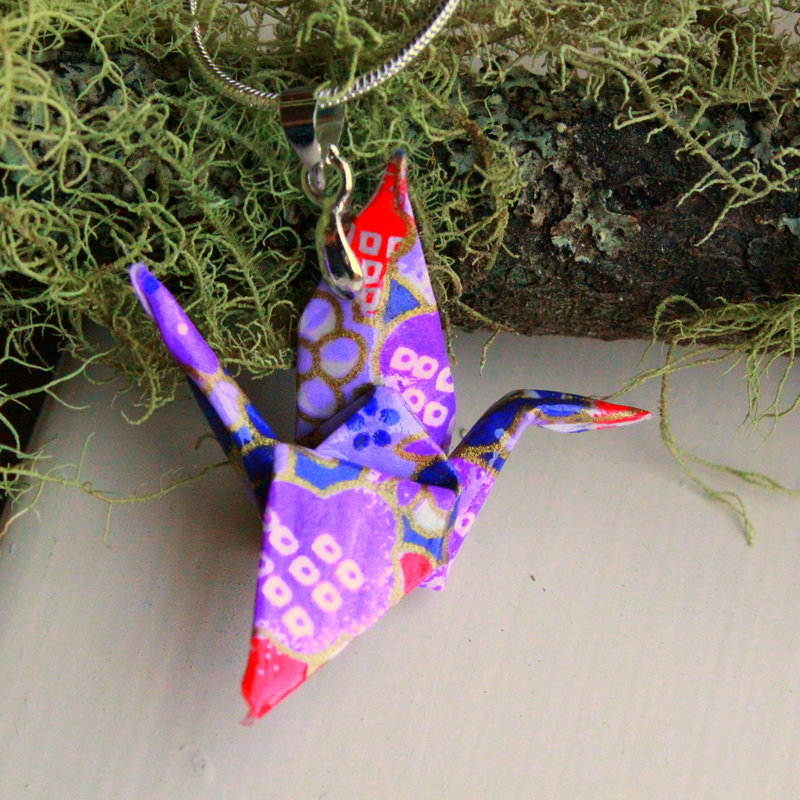 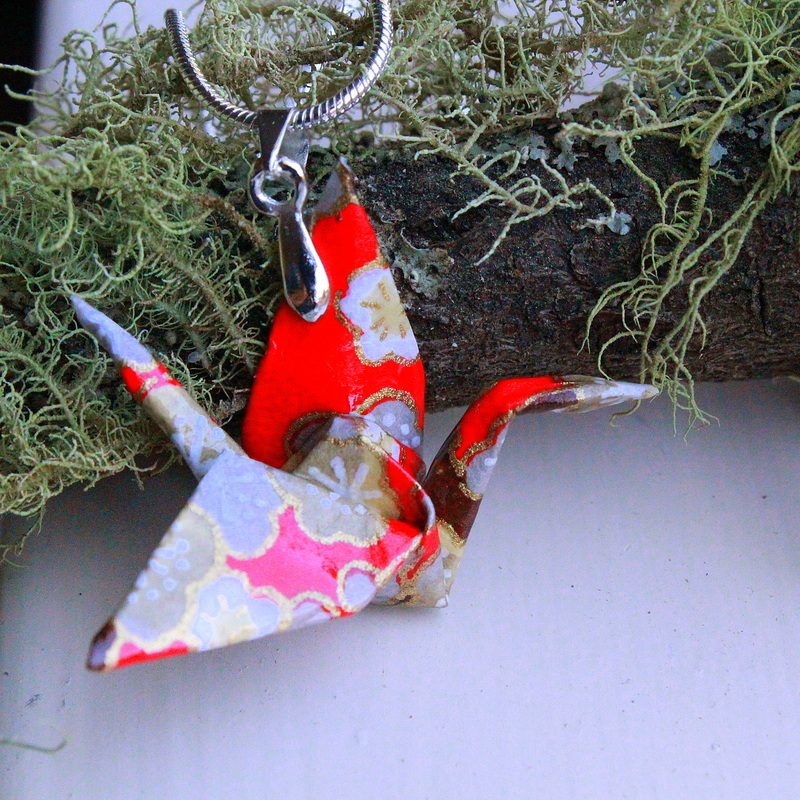 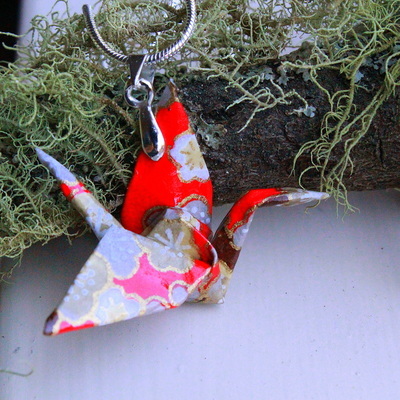 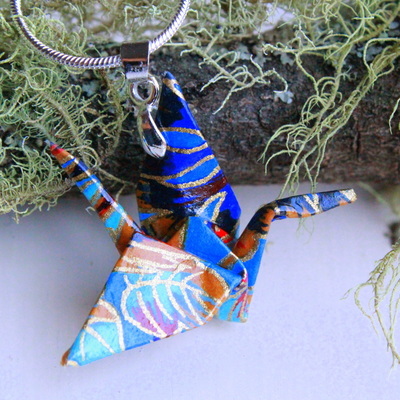 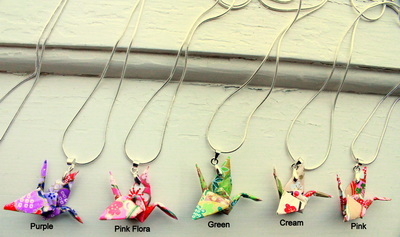 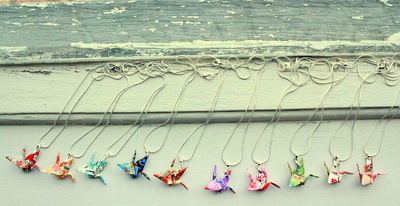 Crane believe to live 1000 years it symbolises happiness, long life, good luck and peace. 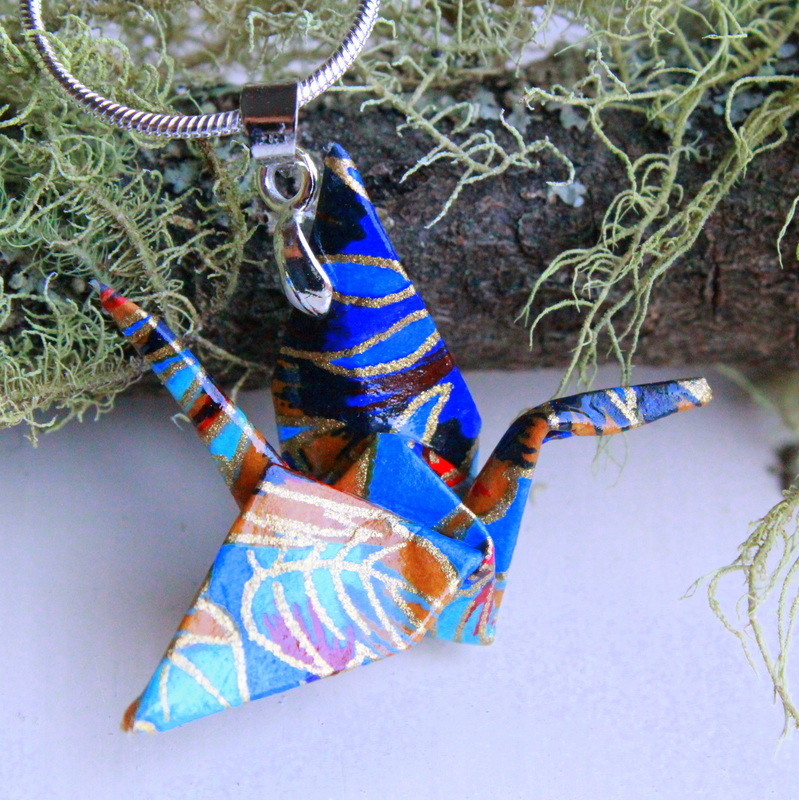 This beautiful hand folded Origami Crane are made from strong Washi paper a traditional paper made from the long inner fibres of three plants Koze, Mitsumata and Gampi. 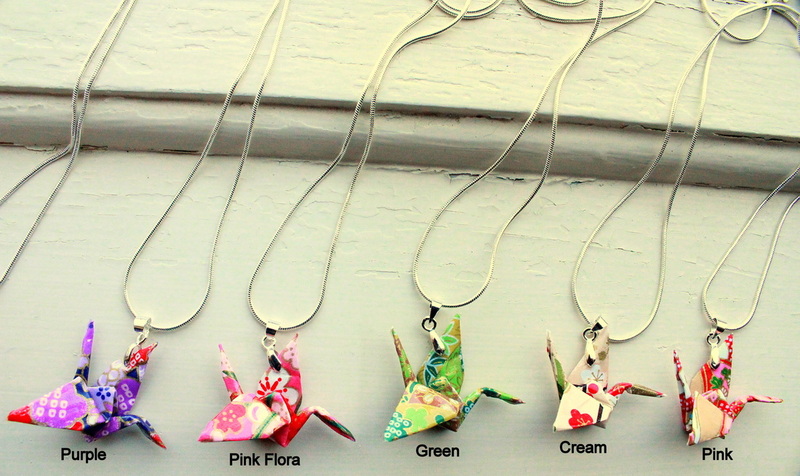 Hand painted with water resistant polish that gives a long lasting effect. 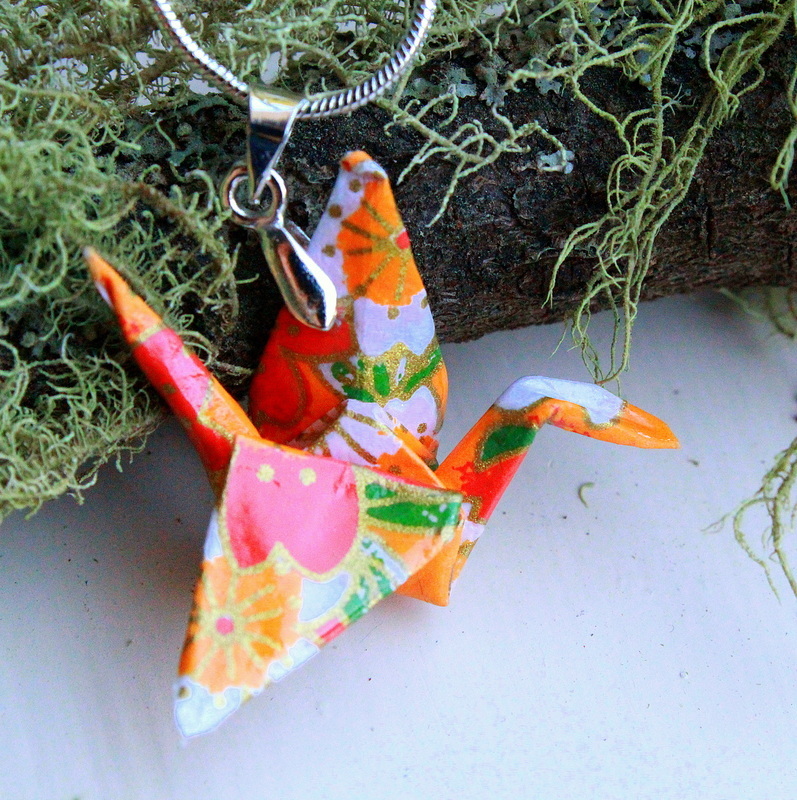 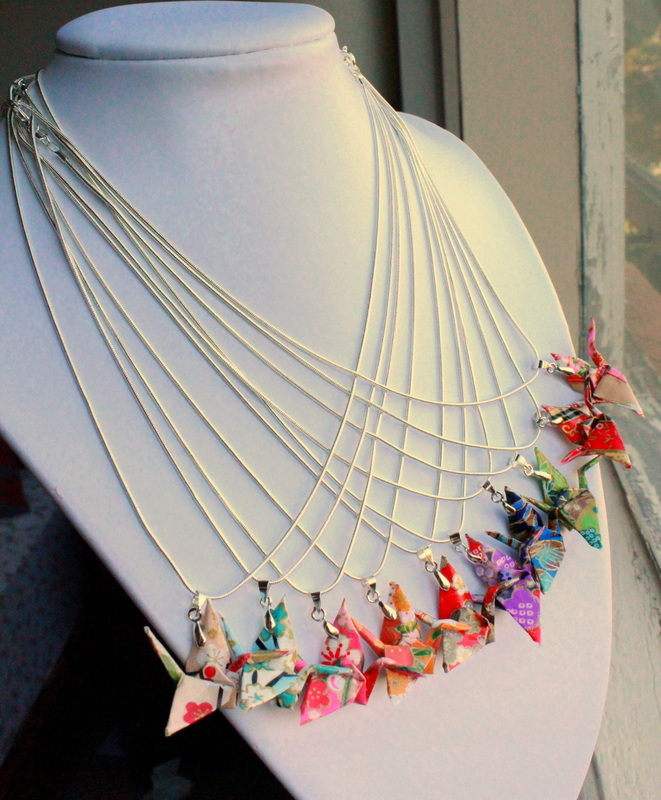 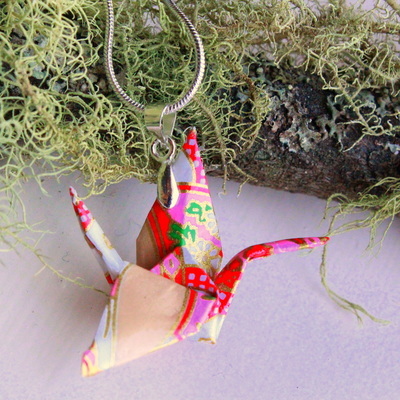 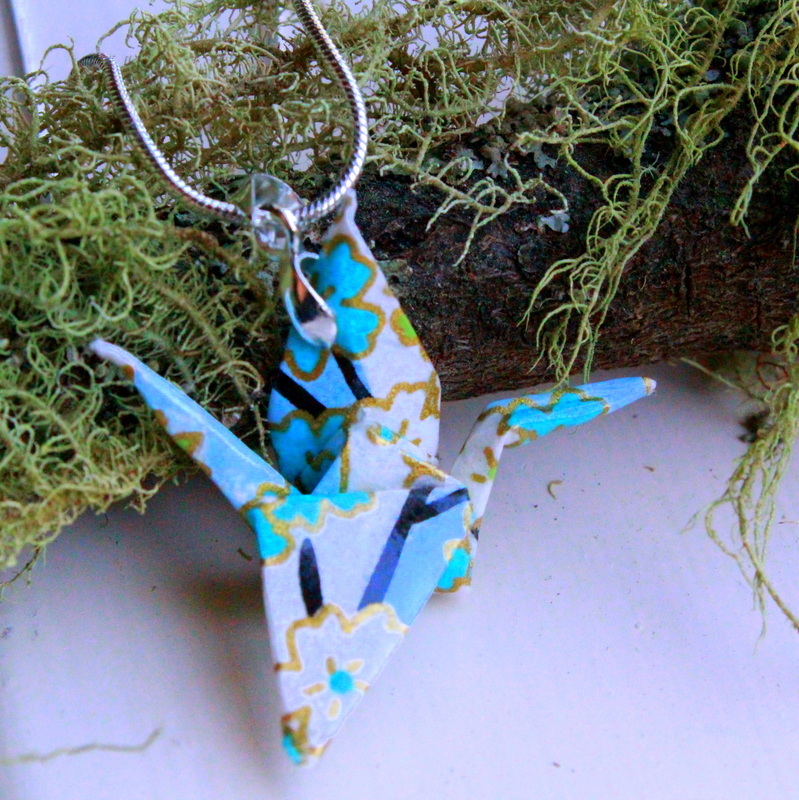 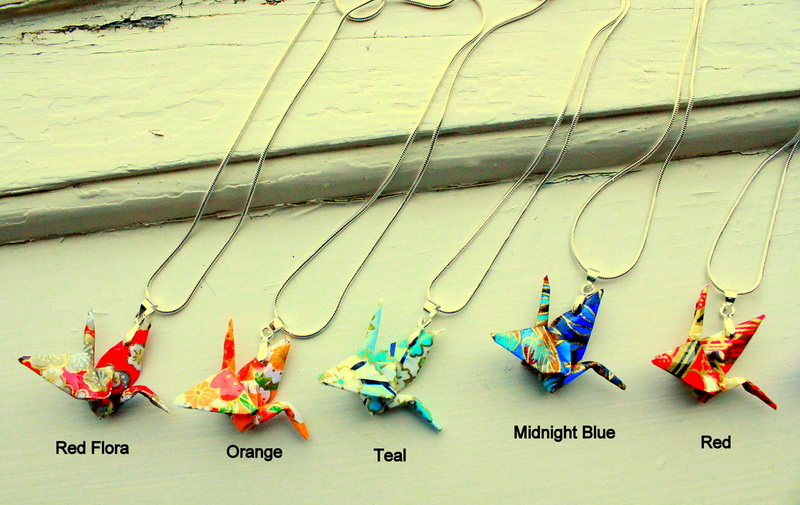 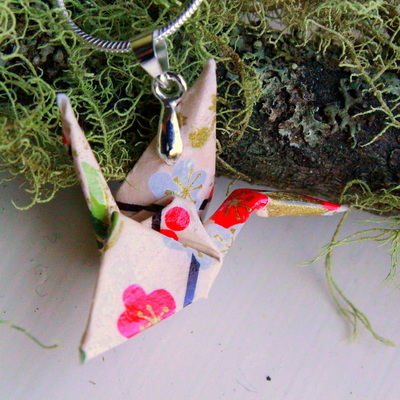 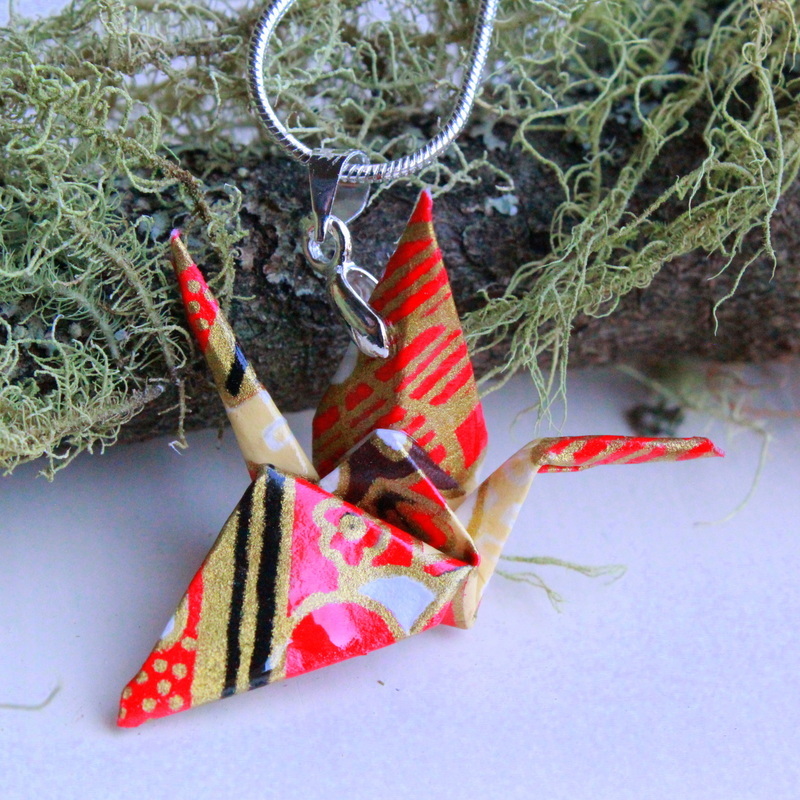 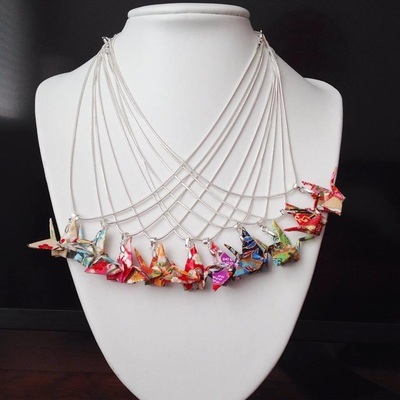 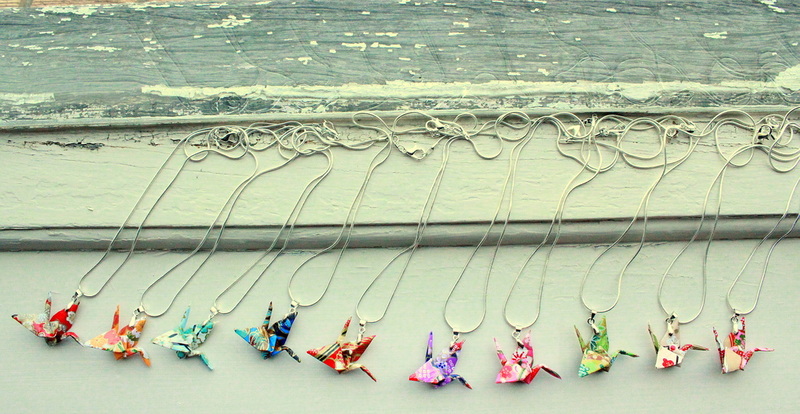 This origami crane pendant is assembled onto 925 Sterling Silver Necklace. 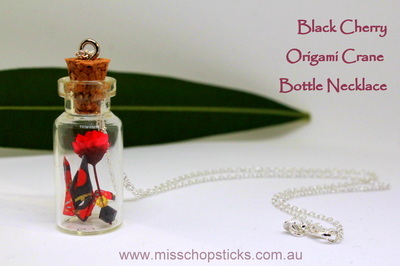 Great gift ideas for birthday, anniversary and special occasions.